Trying to enhance your muscle definition? Here is a supplement that might help: Anabolic Halo. The supplement is alleged to improve your performance at the gym, making you better, faster and stronger. Instead of drinking 5 different kinds of shakes a day you can have an all in one lean muscle shake. You don’t need a specialized drink for everything with this multi-faceted shake that claims to cover all your bases. Anabolic Halo is a formula that gives you phytonutrients, protein, creatine, electrolytes, in addition to tons of vitamins and minerals that the body needs to build muscle and recover from intense training periods. 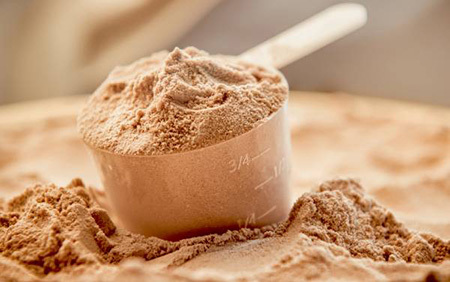 It has 40g of protein that are part of a multi-phase system that eliminates the need for supplements all together. Phytonutrients work to make the recovery period less painful, no more soreness and aching. 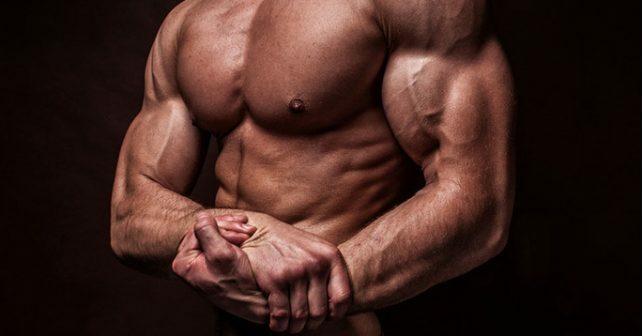 5g of creatine helps you build new lean muscle. 6gs of BCAA also keeps your muscular-skeletal system in tight shape. You can resynthesize glycogen and stop protein breakdown from occurring. The shake also has a carb blend that keeps you full and keeps you fueled with fast and slow carbs. 5 grams of Glutamine restores your plasma after hard workouts to top it all off. Wow so it really does do everything? How fast will I get to see results? If you are putting in the work after hours at the gym, then you will see results faster. In 4-8 weeks you will have significant results as far as your muscle construction is concerned according to the company. There were 12-week third part studies conducted. A third party study means that the company eliminated bias by hiring researchers to put their product to the test for them. They took 22 participants and divided them in 3 different groups. Those who took Anabolic Halo gained 7.12 pounds of muscles while those taking the placebo only gained around 1 pound. All in all, the study proved that the shake was nearly 12 times more effective than just training alone. Mix one scoop with 9 ounces of water and drink it after your workout session. Over time you can increase your dosing to 2 scoops with double the water. You need to make sure you drink plenty of water more than 8, 8 oz glasses of water. The product Anabolic Halo is designed to save you about $200 per month in supplements you would need to purchase separately otherwise. That makes this product a great value that has been clinically proven to work by a third party.